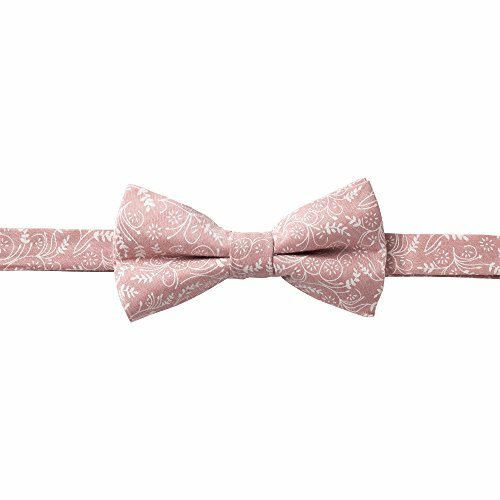 New from Jacob Alexander, is a floral printed men's pre-tied bow tie made of 100% cotton . The bow measures 2.5 inches high and 4.75 inches wide. The bowtie is tied already and features an adjustable sliding band which hooks discretely behind the bow on the other side. Fits up to a size 19 neck. This item is part of the trademarked Jacob Alexander collection of men's and boy's neckwear and accessories.